I would like to introduce guest blogger Khris Griffis. Today, Khris will continue the series of posts on web-based uifigure customization with an article showing how to create scrollable/customizable panels in web-based uifigures. This post follows last-week’s article, about placing controls/axes within a scroll-panel in non-web (Java-based) figures. 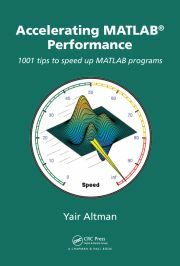 Users interested in advanced aspects and insights on the development roadmap of web-based Matlab GUI should also read Loren Shure’s blog post from last week. As a retinal physiologist, I spend a lot of time in Matlab creating GUIs to visualize and analyze electrophysiological data. The data often requires a lot of processing and quality control checks before it can be used for interpretation and publication. Consequently, I end up with many control elements taking up precious space on my GUI. In Java-based (legacy/GUIDE) figures, this wasn’t a huge problem because, depending on what GUI components I needed, I could use a pure Matlab approach (a child panel within a parent panel, with a couple of control sliders moving the child panel around), or a number of Java approaches (which are always more fun; Yair described such an approach last week). AppDesigner uislider is not a good scrollbar, no matter what we do to it! Also, I highly recommend cloning (or at least downloading) the mlapptools toolbox repo on Github (thanks Iliya Romm et al.). We will use it to simplify life today. 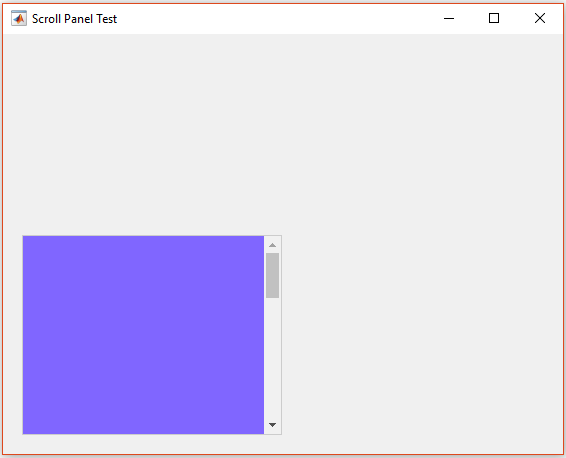 Using the mlapptools toolbox, we need just a few lines of code to set up a scrollable panel. The important thing is knowing how big the panel needs to be to hold all of our control objects. Once we know this, we simply set the panel’s Position property accordingly. Then we can use simple CSS to display scrollbars and define the viewing dimensions. Set the uipanel‘s Dimension property to be 260px wide by 720px tall. Set the viewing height using mlapptools.setStyle(scrollPane,'height','200px') for the panel’s CSS height style attribute. Display the vertical scrollbar by calling mlapptools.setStyle(scrollPane,'overflow-y','scroll') for the panel’s CSS overflow-y='scroll' style attribute. Because this is a web-based GUI, notice that you can simply hover your mouse over the panel and scroll with your scroll wheel. Awesome, right? Note that the CSS height/width style attributes don’t affect the actual size of our panel, just how much of the panel we can see at once (“viewport”). The CSS overflow style attribute has a number of options. For example, setStyle(scrollPane,'overflow','auto') causes scrollbars to automatically hide when the viewing area is larger than panel’s dimensions. Review the CSS overflow attribute to learn about other related settings that affect the panel’s behavior. %  note that the whole style tag is wrapped in single quotes, that is required! Now the tricky part is that we have to assign our new CSS scrollpane class to our uipanel. We need 2 things: the webWindow object and the data-tag (our panel’s unique ID) attribute. % get the uipanel data-tag attr. Note: Unfortunately, because of CSS precedence rules, we may have to use the dreaded !important CSS qualifier to get the desired effect. So if the result doesn’t match your expectations, try adding !important to the CSS class attributes. Each uipanel appears to be composed of 4 <div> HTML elements: a wrapper, internal container for the panel title, a separator, and the panel’s body (contents). We first use mlapptools.getWebElements() to get the data-tag ID for the wrapper node. We can then apply styles to the wrapper, or any child node, with CSS and JS. 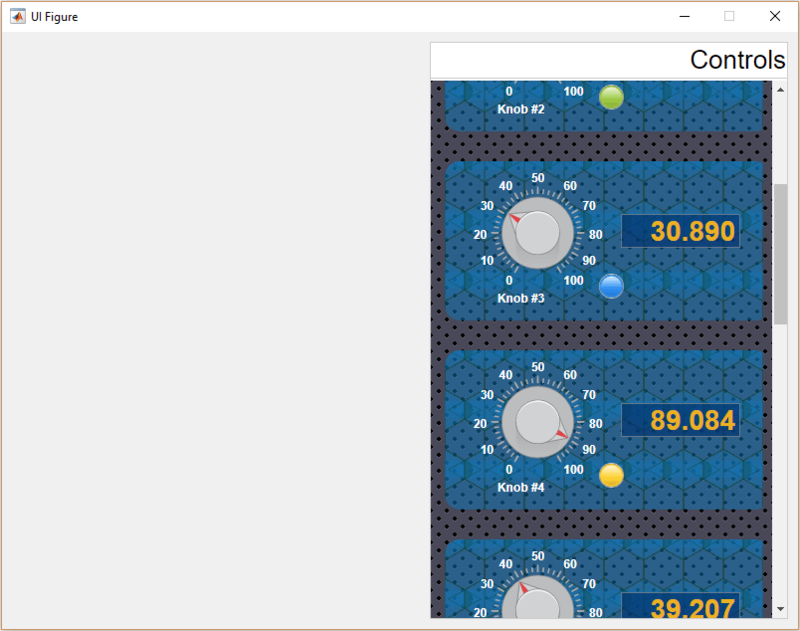 It seems to me that this approach might help to make lighter-weight apps, instead of having to make all those app.Label objects in Matlab’s App-Designer. Create a uipanel with the Position property set accordingly large enough for your control elements. Use mlapptools.setStyle() to set the overflow style attribute as desired. Use mlapptools.setStyle() to set the width and/or height style attributes to the viewing size (this is how big the viewing area of the panel needs to be in order to fit nicely in your app). Add your control elements with the scrolling uipanel as the parent. If you want some special styles, create a stylesheet and inject it into the <head> and be sure to add the class to your panel’s HTML classList. The order of items 2-4 are not really important. You just need to ensure that the panel is large enough (via its Position property) to include all your elements/controls. I created a complete working example in Matlab’s App Designer while figuring this whole thing out. The code (CWE.m) can be downloaded here, and then run directly from Matlab’s command window. Alternatively, the corresponding App Designer file (CWE.mlapp) can be downloaded here. You are welcome to use/adapt the code in your own project. Just to be clear, I love wild colors and crazy themes, but I don’t recommend going this overboard for a real project. Addendum September 17, 2018: Scrolling panels in uifigures are now a fully-supported documented functionality via the new scroll function and Scrollable property, starting with Matlab release R2018b. You can still use the mechanism described above, which also works for older Matlab releases.